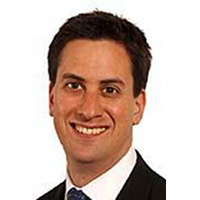 In a speech delivered yesterday (Thursday 19th July 2012), Labour leader Ed Miliband MP questioned the ability of the private security industry to deliver against important police contracts, and reinforced the importance that core police functions should not be outsourced to the private sector. “We welcome the notion that partnership between the police and the private security industry is an important part of modern policing, although it is important to recognise that it has never been suggested that front-line police functions should be outsourced to the private sector. “In contrast, the transfer of back-office and support functions – such as managing cordons, area searches and taking witness statements – to the private sector would free up warranted officers to perform their vital front-line role in protecting the public. “In addition, the ability of private companies to deliver is not in doubt. Members of the BSIA have long been providing support services to police forces across the country, which have been proven to deliver benefits in terms of cost, efficiency and customer satisfaction. 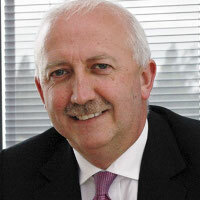 “At present, BSIA members are involved in delivering a number of support functions to reinforce the strength of the UK’s police force, including assisting British Transport Police to combat high incidents of metal theft, and operating custody suites, one example of which has resulted in 53 warranted officers returning to front line duty, and delivering £1.39 million worth of efficiency savings per year. In this example, customer satisfaction was high, with 96% of police officers involved in managing the contract rating the BSIA member’s helpfulness as excellent. “For several years, the BSIA has campaigned to promote the importance of intelligent procurement and believes that some degree of prior security knowledge is essential in the procurement process. “The BSIA and members of its Police and Public Services section have been engaging with MPs and Parliamentarians over recent years to overcome the perceived barriers to partnership working and to raise awareness of the ability of the private sector to provide this essential support. “I am delighted to be here today with some of Labour’s candidates to be Police and Crime Commissioners. “We have always said that the money being spent on Police Commissioner elections could be better spent on frontline policing. “But now that these elections are going ahead in November, we must debate what kind of policing we have. “We believe that the British people deserve policing that reflects their values. “These are the issues that our candidates will be campaigning on. “Keeping police on the streets. “Police preventing crime not just responding to it. “And the core job of policing done not by private companies, but by the police. “We warned the Government about the dangers of their cuts to frontline policing. “And already 5,000 frontline officers are being lost across the country, from neighbourhood policing and from 999 response. “These elections must be a referendum on the wisdom of decisions which will see at least 15,000 officers lost by 2015. “Our candidates will fight to keep frontline police on the streets. “But these elections are not just about the number of police we have. “It is about the type of policing we want to see. “This was not just a slogan, it was a different philosophy of policing. “Doing more than reacting to crimes. “Working in partnership with local authorities, schools and the NHS. “We would like to extend this approach further. “That means empowering the police to resolve people’s problems by seeing offenders make good on the damage caused. “Fixing the smashed broken window, cleaning up the damage done to someone’s garden, restoring the community facility. “But neighbourhood policing as a whole is being put at risk by the cuts Government is making and their narrow vision of policing. “There is also an issue in these elections about the role of the private sector in policing. “The scandal we have seen this week with G4S beggars belief. “I pay tribute to our troops and police who are stepping in to ensure that we have a safe and successful Olympic Games. “I also pay tribute to those workers who have been trained by G4S and will be serving at the Games. “The Olympics will be an inspiring moment for Britain. “The eyes of the world will be on London. “And I am confident the country can and will deliver a successful Games. “We are all behind that. “But we do need to take stock and learn lessons. “The scandal over G4S has raised wider questions about the outsourcing of policing all over the country. “Public private partnerships are an important part of modern policing, as the last Labour Government recognised. “Where there are clear savings on back office functions – such as police IT – police forces should have the flexibility to use the private sector. “We should not jump to the conclusion that the private sector can never be involved in public services. “But as Yvette has been saying for months, the Government’s cuts to policing are resulting in forces coming under pressure to outsource on a scale and at a speed, and into areas, not before seen. “The West Midlands and the Surrey contract with the private sector puts a wide range of functions up for grabs. “The initial tender promoted by the Government included criminal investigations and beat patrol. “And police and crime commissioners are going to be given new and wide powers to outsource services. “What has happened over G4S demands that the Government rethinks its position on the role of the private sector in policing. “People want bobbies on the beat. “What has happened with G4S is a warning sign. “Not just about one private company in one city for one very important event. “But about privatisation of policing across the country. “People need public confidence in the policing of this country. “First, we need to be much clearer about what private companies should and shouldn’t do. “Labour will be campaigning to ensure core policing functions, such as neighbourhood patrols and criminal investigations, aren’t given to the private sector. “Second, before they are awarded any new policing contracts, we need a review of G4S’ and other private companies’ ability to deliver. “Learning the lessons of the Olympics. “Third, the G4S scandal shows the risks of policing relying on one private firm. “We need tougher rules to avoid large firms from being able to monopolise policing functions. “Fourth, we need much greater accountability. “If private sector security staff are delivering any functions for the police they should be accountable to the Independent Police Complaints Commission, just as sworn officers are. “In summary, there are big issues at stake in these Police and Crime Commissioner Elections.